Scientists at the Geophysical Fluid Dynamics Laboratory develop and use dynamical, numerical models and computer simulations to improve our understanding and make projections of the behavior of the atmosphere, the oceans, and climate, using supercomputer and data storage resources. These models have become key tools to understand the physical and biogeochemical processes that control the earth’s climate. Models are used to investigate the extent to which observed climate changes may be due to natural causes (for example, sun, volcanic activity) or may be attributable to human activities (for example, emissions of greenhouse gases and particulates, land-use). They support more accurate prediction of phenomena in the atmosphere, the oceans, and on land over seasonal, decadal and centennial time scales. Models are invaluable tools for hurricane research and prediction, seasonal forecasting, and projections of ozone depletion, drought, precipitation, sea-level rise, El Niño-La Niña cycles, global ocean circulation, and chemical transport in the atmosphere (affecting both climate and air quality). 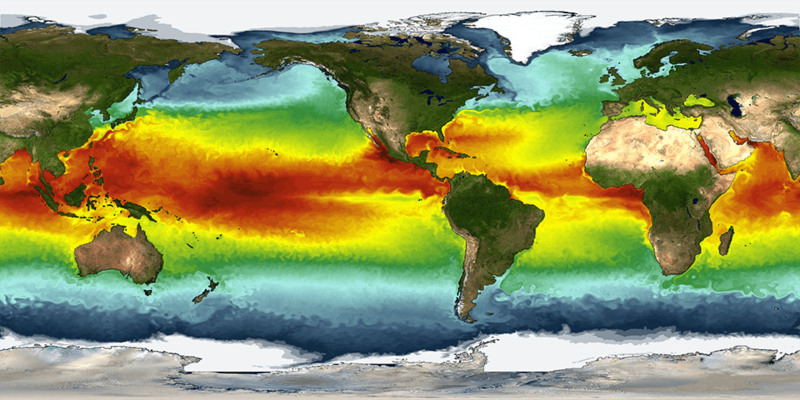 GFDL models have been successful in representing the observed evolution of 20th century climate from continental-to-global scales, including the dynamics of El Niño and drying in the African Sahel, and providing good seasonal predictive skill. Data from many of GFDL’s climate experiments is made available on the lab’s Data Portal. The codes for most GFDL models have also been publicly released, once the models are tested and proven. See this table for a list of publicly released model codes. GFDL has had a central role in each assessment of the Intergovernmental Panel on Climate Change (IPCC) since 1990, when their first report was issued. For the most recent report (AR5) issued in 2013, 14 GFDL scientists served as Coordinating Lead Authors, Lead Authors and contributing authors. In addition, GFDL contributed six of the models used for the climate assessments and devoted the equivalent of more than 9 months of supercomputing time to produce climate simulations for the IPCC. One new climate model offered improved atmospheric physics and chemistry (CM3) and two new models also incorporated biogeochemical components (ESM2M and ESM2G). Insight into the role of the individual model components was garnered from the comparison of these models. Simulations for high-resolution downscaling (using atmospheric models HiRAM C180 and HiRAM C360) and decadal climate prediction (using CM2.1) were also provided to the assessments. Information and data from GFDL model runs are available from the GFDL Data Portal and the CMIP database. GFDL scientists are currently developing the next-generation coupled Earth System Model to support future climate research and the IPCC Sixth Assessment. This model will combine the atmospheric chemistry and earth system capabilities of previous GFDL models. Higher atmosphere and ocean resolution, with the latter pushing into the eddying regime, are also envisioned for the model. A simulation of sea-surface temperatures from a GFDL climate model inspired the U.S. Postal Service to create a Forever international rate stamp, released on Earth Day in 2014. The stamp features a view of North America, with colors in the surrounding oceans ranging from blue to red to signify the varying temperatures of sea surface waters.